Nose: On the nose the wine is a dense assemblage of lime peel, wet stone, and grapefruit aromas. It is precise and piercing. 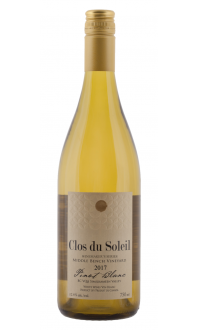 Mouth: On the palate the wines opens up more broadly: bone dry, and yet rich with grapefruit, green apple, and lime juice, with a vibrant mineral streak and a long, lingering finish. The firm structure will allow this to age for years. 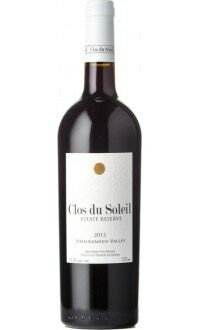 This elegant wine is the definition of the wind-swept and stony Similkameen Valley. 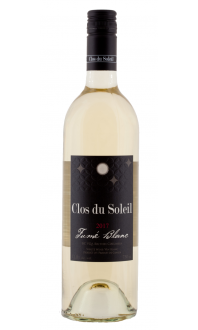 The ’15 "Estate Reserve", a 71/29 mix of sauvignon blanc/sémillon all from the home vineyard in the Similkameen Valley is the first ever flagship white release from Clos du Soleil. The winemaking is minimal, and includes 100 percent wild ferment of the two grapes that are co-fermented. The blend spends eight months in oak puncheons. 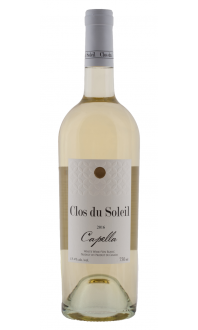 The nose is fresh and stony with complex aromas of citrus (lime) pear and white flowers. Similar flavours mark the palate with perfect acidity to support. Lovely complex, mineral white that speaks to the Similkameen. Perfect with fresh shucked oysters, or most white meats.